The elusive weekend getaway is something many people struggle to find. It can’t be too far away, but it needs to offer enough to keep you busy. 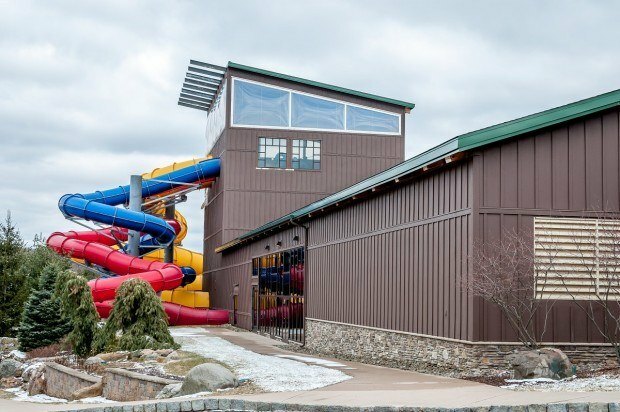 In family friendly entertainment, the Split Rock Resort makes an excellent weekend getaway in the Poconos Mountains. 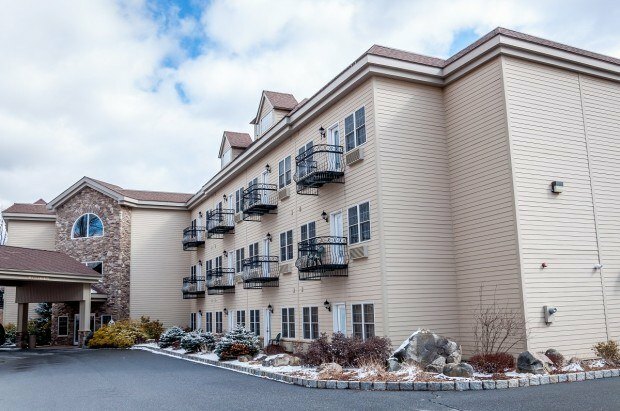 The Poconos makes a great all-season destination close to many of the East Coast’s biggest cities. In winter, you can carve turns at the Jack Frost Big Boulder ski resorts less than a 10 minute drive away. Our visit was in the early spring and we took the chance to catch up on some skiing. In the summer, there is zip lining and alpine coasters at Camelback Mountain Adventures, paintball, ATV riding and even hiking. There are lots of things to do right on the Split Rock property. The highlight is the massive indoor H2Oooohh!! Waterpark located in the Town Center/Galleria. 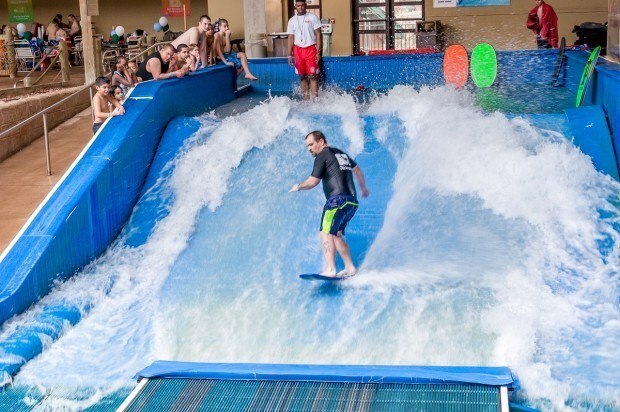 The waterpark features a wave pool, kiddie pool, Pennsylvania’s first indoor flow rider, two hot tubs and three different slides (four stories of vertical drop). 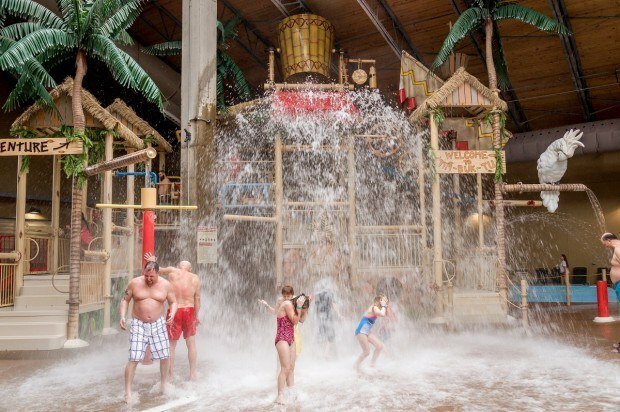 The sprawling 53,000+ square foot indoor waterpark offers a great way to spend a day. 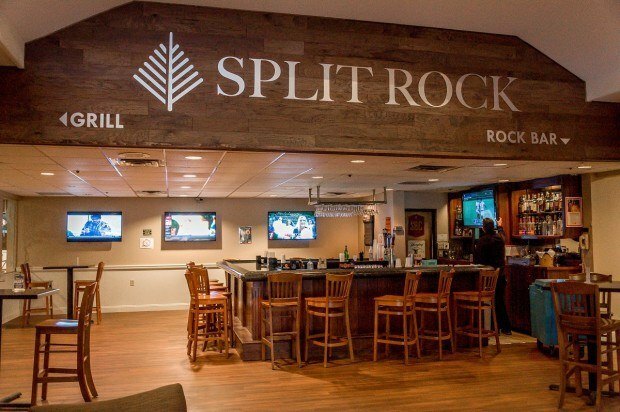 The Split Rock Resort is actually a Poconos success story. While some resorts in the area have gone downhill and many are totally abandoned, Split Rock is going through a massive renovation effort. The Town Center has been totally renovated and upgraded with a new movie theater, food court, and lobby. 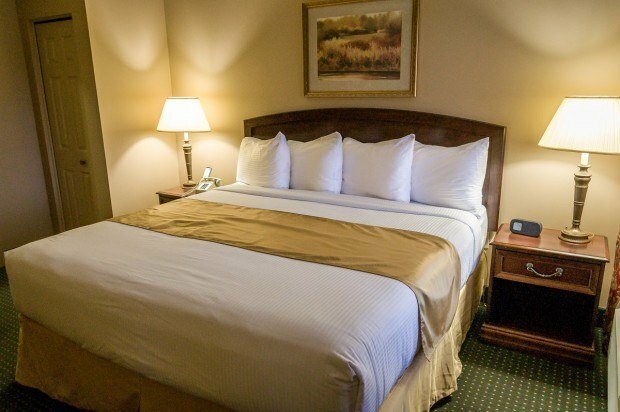 The guest rooms in the historic lodge have been upgraded. And more changes are to come. We really didn’t know what to expect from the Split Rock Resort. We discovered a fantastic family-friendly weekend escape. 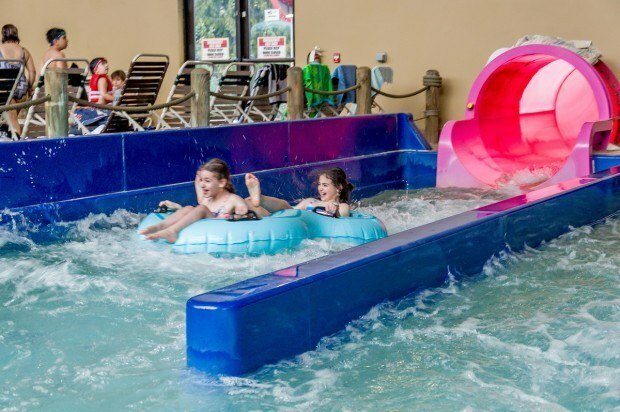 Click here for the latest prices at The Split Rock Resort. The Resort: The Split Rock Resort occupies an edge of Lake Harmony in Pennsylvania’s Poconos Mountains. 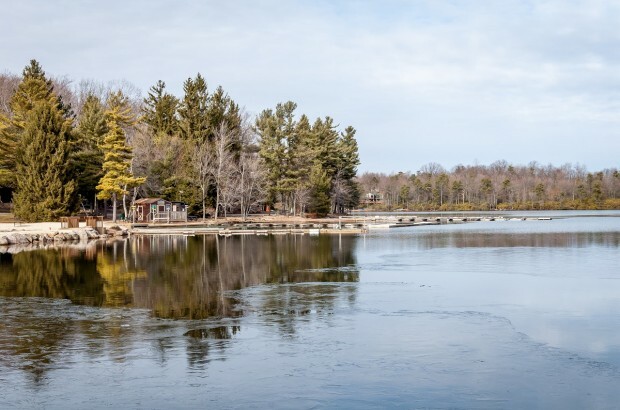 The resort is mixed use and has a lodge, condos and even private residences mixed together. Special note: Split Rock is rustic, so watch out for deer running onto the roadways. The Restaurants: There are a number of restaurants at the Split Rock Resort complex. At the Town Center/Galleria, there is a sit-down restaurant called the Split Rock Grill as well as the Galleria Market, which serves pizza by the slice as well as whole pizzas. Down on the shores of Lake Harmony, the Lake View Tavern is a fine dining restaurant with lake views. 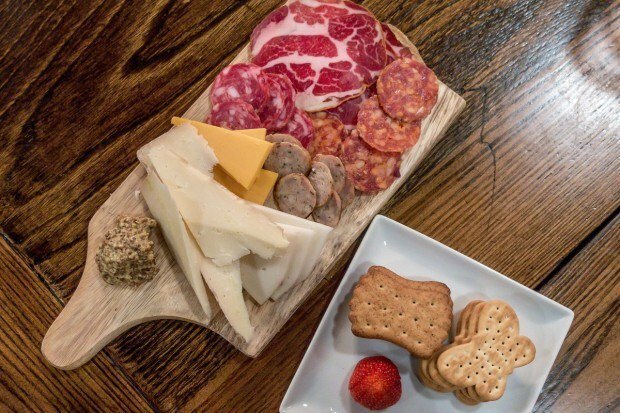 We had dinner at the Lake View Tavern one night and thought the food was very good. The Lounge: The Rock Bar at the Town Center/Galleria and the Thirsty Moose Saloon at the Lodge will keep you well hydrated. The Concierge: The front desk staff at the Split Rock Resort is able to help you with any special requests. 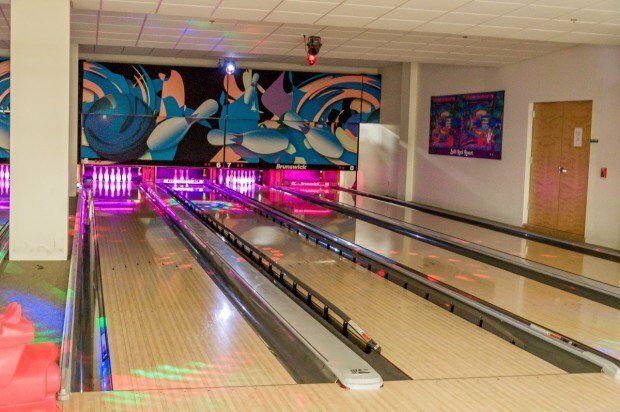 The Spa and Recreational Facilities: There is a full recreational complex at the Town Center/Galleria within the Split Rock Resort, including: three indoor tennis courts, a squash court, a full gym, and a bowling alley. The Town Center has an indoor pool and hot tub for guests. Adjacent to the Town Center/Galleria is the H2Oooohh!! waterpark. 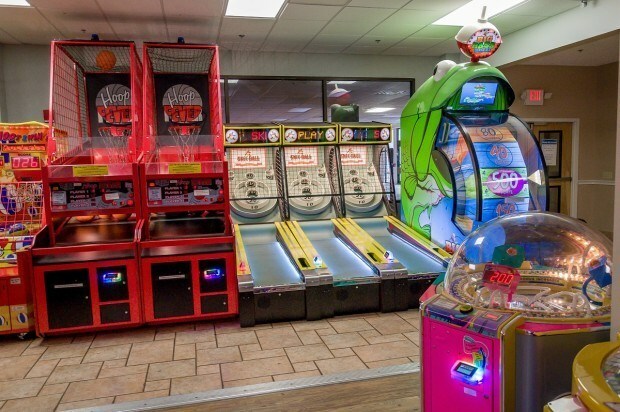 There is an onsite golf course (Sunset Green), outdoor tennis courts, volleyball courts, basketball courts, miniature golf, and an outdoor pool. The Rooms: We stayed in a one-bedroom suite in the Willowbrook V building overlooking the golf course. Our room had a kitchen, dining room table that seated four, a couch and a fireplace in the main room. The bedroom with queen bed was separated by a closeable door. Of the living room was a small balcony with two small chairs. Special note: There is no staff on site at the townhouse buildings. This became an issue for us when our room key card became demagnetized and we had to drive all the way back to the Town Center to get it fixed. The Bed: The queen bed was perfect – not too firm and not too soft for our tastes. The WiFi: The resort has excellent free wifi. The Television: The room had a flat panel TV on a dresser opposite the bed. There was also a flat panel TV mounted above the fireplace in the living room. The Bathroom: The bathroom was very large. We had a shower and large Jacuzzi bathtub. 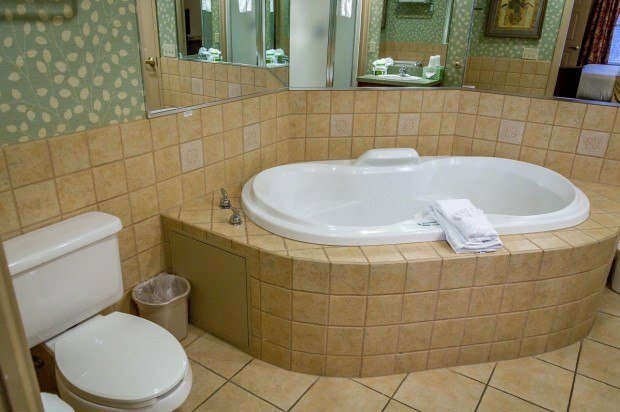 The Jacuzzi tub is perfect for soaking after a long day skiing. 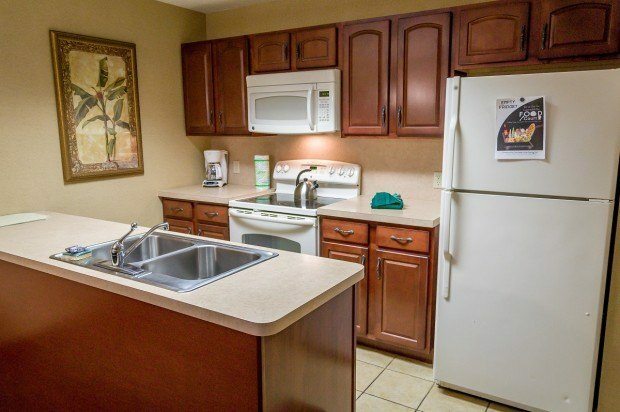 The Cost: The one bedroom suites in the Willowbrook complex go from $132 per night. The Location: Split Rock Resort is located near the junction of I-80 and I-476 (the Northeast Extension of the Pennsylvania Turnpike) in Pennsylvania’s Poconos Mountains. It’s about two hour drive west of New York City and an hour and a half drive north of Philadelphia. The Transportation: The resort is best reached via private car and there is ample parking available at the resort. 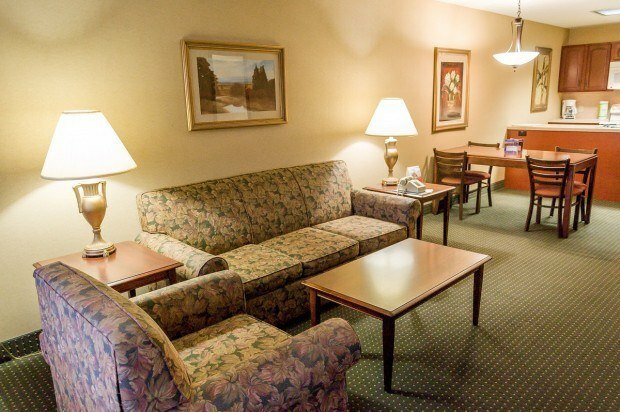 The Airport Transfer: Split Rock Resort is located 48 miles from the Lehigh Valley International Airport (ABE). The nearest major airports are Newark Liberty International (EWR) and Philadelphia International (PHL) – both airports are exactly 102 miles from the resort. 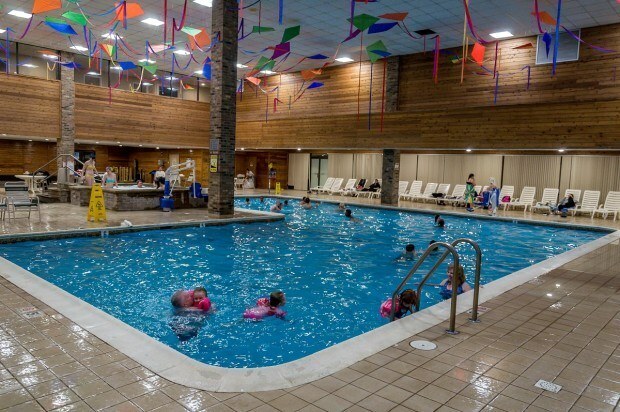 Whether you come in summer or winter, Split Rock in the Poconos is a great weekend escape, especially for families. We were the guests of The Split Rock Resort and the Pocono Mountains Visitors Bureau. All opinions of the wet and relaxing are our own. Note: Some links may be affiliate links, which means Travel Addicts may earn a few pennies if you buy something.